Hi beer fans! Im back, sorry for not updating. Got stuck with work and family but my beer tasting hobby never stopped. 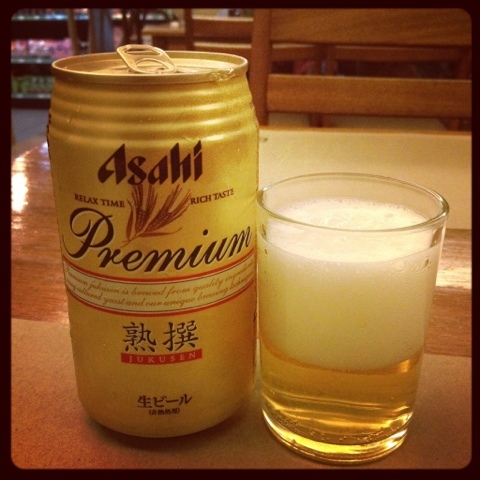 Anyways, i stumbled upon this brew at konbini store in Connecticut street in Greenhills San Juan. The beer is very appealing from its can and the big lettering that says Premium. Upon opening the can, you can immediately smell the zesty aroma sneaking towards my nose. After taking my first sip, all my stress for the day went away. Full flavored premium beer, sweet first then bold bitterness at the end. I can't determine much of the head because the glass that they gave me is very small. It has a 5.5% abv. And they are selling it for 180pesos. Its quite expensive for a commercial brew but its worth a try!